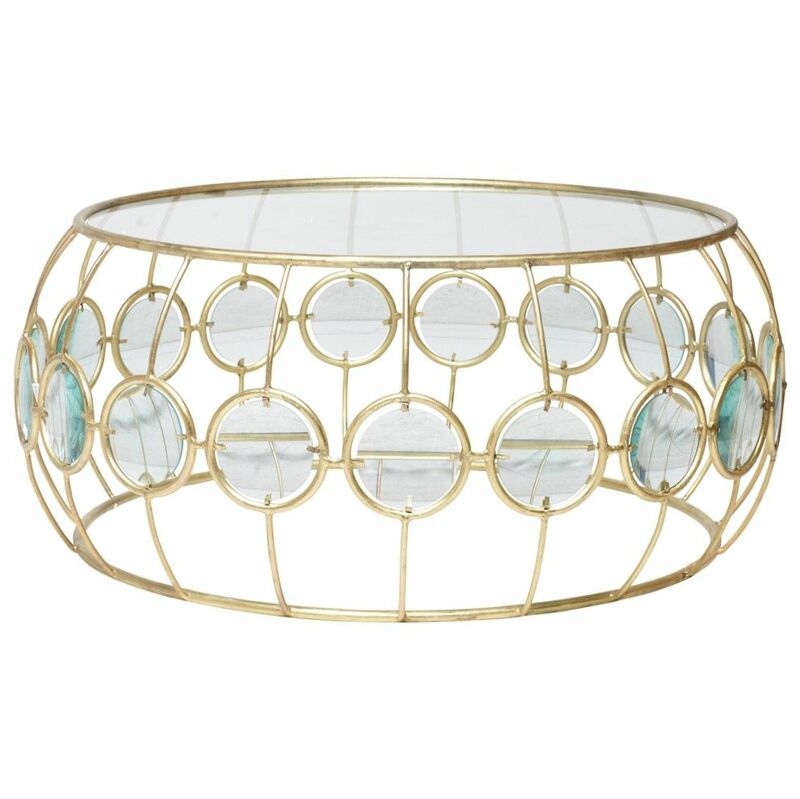 This creatively designed art deco inspired java coffee table is sure to add a beautiful touch to any room. It is made of iron and colored glass. This is a very elegant coffee table because of the curvy and unique design. 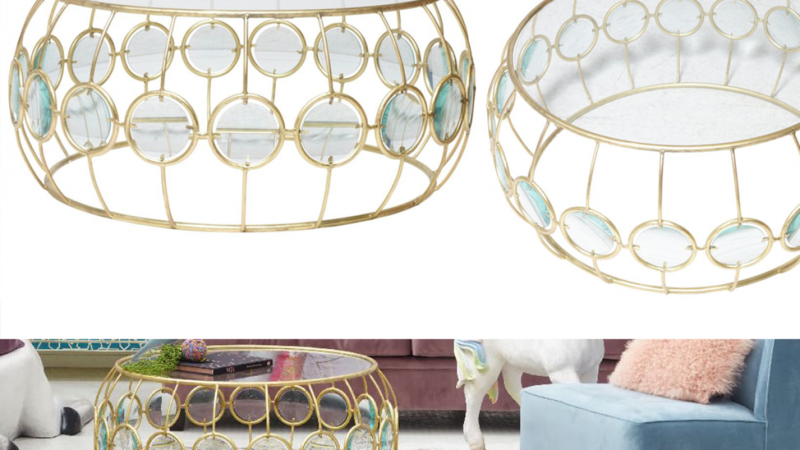 If you want to add a touch of style to any living area this coffee table is sure to do that. You can use it with almost any decor of your choice because it is quite adaptable. It will work well with almost any combination of colors and materials. Display it in a room with minimal color if you want it to stand out as a feature piece. Or add it to a colorful room because it is sure to look great. Choosing the right coffee table is important because a coffee table is often central to the room. It is not only the color of the table that you choose that is important. This is because the style of the table and the design are very important features. You will find that this coffee table works well with rooms that are elegant, modern, colorful, bright, dark, casual, whimsical or luxurious. If you want to avoid a coffee table that is dark and heavy then this one is perfect. If you like this beautiful coffee table then you may also like to check out the following items.